1 Bedroom Terraced House For Sale in Sheffield for Guide Price £100,000. 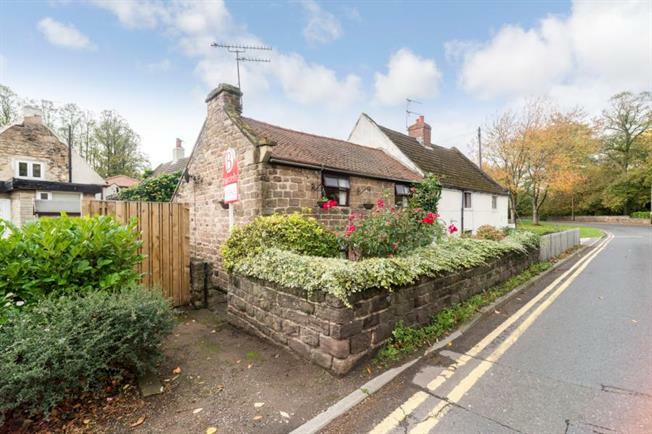 Boasting a wealth of charm is this superb one bedroom cottage in Aston. Ideally placed for a host of local amenities this delightful property is offered for sale with NO CHAIN. In brief the accommodation comprises; to the first floor the entrance door leads into the generous Living/Dining room with character beams, a door provides access to the Kitchen fitted with a modern range of wall and base units, a further door gives access to the Bathroom. To the first floor is a generous landing area with potential for a second bedroom or guest area and further double bedroom with feature beams. The property has a walled front garden, access to the rear where there is an enclosed rear forecourt . Situated in the popular area of Aston, known for its excellent local amenities and Schools the area is well served by a further shopping area in nearby Swallownest and Aston Hall offers superb accommodation and a local restaurant. Ideally situated for junction 31 of the M1 motorway network and ideally placed for links to Sheffield, Worksop and Rotherham. There are further amenities at nearby Crystal Peaks Shopping Centre, Drakehouse Retail Park and the area is well placed for both Ulley Reservoir and Rother Valley Country Park offering fantastic outdoor pursuits.